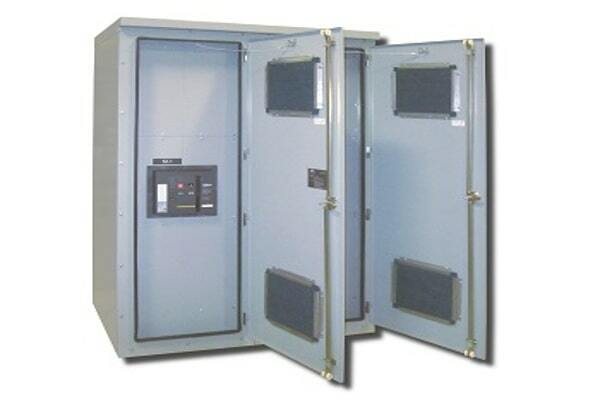 APT Low Voltage (208V – 690V) metal enclosed distribution switchgear can be built for both indoor and outdoor installations. The APT PwrMotorL-Series Motor Control Center Switchgear provides safe and reliable control of any size motor. This switchgear features Variable Frequency Drives (VFD's), Soft Starts (with or without Bypass), and manual motor starting. The GenProtect-L Generator Output Protection Switchboard is a high end insulated case circuit breaker based switchgear option. 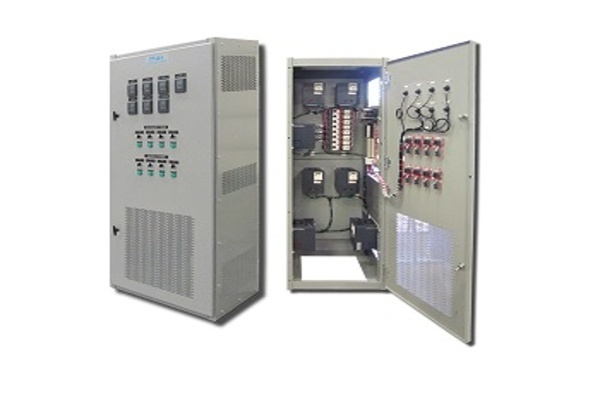 Power Distribution Switchgear can be used in a variety of applications including Uninterruptable Power Supply (UPS) paralleling and power distribution to loads requiring advanced circuit breaker features such as high interrupting rating or draw-out capability. APT GM-Series Generator Output & Fire Pump Protection Distribution Panel is a generator mountable molded case circuit breaker panel that allows single or multiple circuit breakers to be mounted onto a gen-set to feed output loads up to 3000A. APT GenVerter 208V to 480V Generator Voltage Changeover Switchboard provides a simplified means of output protection and reconnecting the 12 lead generator for either low voltage mode (240-208V L-L / 120V L-N) or high voltage mode (480V L-L / 277V L-N) operation. The GenVerter Switchboard consists of a base insulating board with copper bus bars installed and a movable top insulating board with various copper bus bar links installed. Voltage changeover is achieved by removing Linkboard nuts/washers, moving the Linkboard up or down a position as required, and then reinstalling the nuts/washers. This product combines the functionality of the Switchboard and Automatic Transfer Switch. If you are interested in integrating a generator set in to your power distribution system and are not interested in continuous paralleling with the utility, then take a closer look at this product. This product combines the functionality of the Switchboard and Automatic Transfer Switch. If you are interested in integrating a generator set in to your power distribution system and are not interested in continuous paralleling with the utility, then take a closer look at this product.